I absolutely adore sending Christmas cards to friends and family every year. The problem is… I like to send personalized Christmas cards and that can get kind of pricey. What ends up happening is that I often can’t afford to send out as many holiday cards as I’d like to after you take into account the cost of the card, envelopes, and the increasingly expensive stamps. I went in search of affordable Christmas card printing options and I was surprised at the range of prices… and who has the best printing quality for the price. We’re not new to the whole design-for-print thing. Jeremy and I have been printing custom Christmas cards now 3 out of the 5 Christmases we’ve celebrated together and we’ve tried a few different places between Christmas cards and our wedding invitations – including Minted, Staples, Cards & Pockets, Paper Culture, and Moo. We’ve had a range of experiences with these companies. 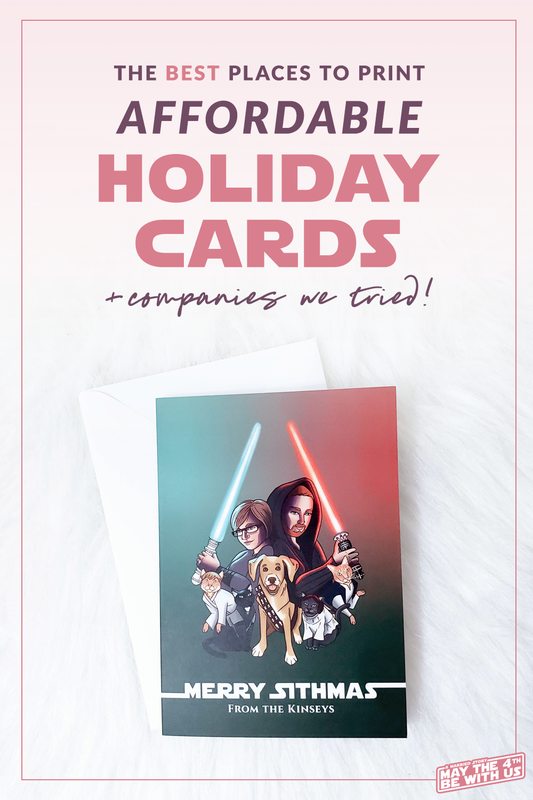 While we ultimately chose Moo this year, I wanted to highlight the experiences that lead us down this road so that you can make the best decision for your own card printing needs. The first personalized Christmas cards we ever printed were through Minted in 2015. It was our first serious Christmas together as a couple, and we sort of made our intentions known to our families. Needless to say, the cards were a big deal, and I chose to print them someplace I’d heard of that offered a lot of fancy options for their holiday cards, like foil lettering and in-house editing. The attention to detail with them is wonderful and I highly recommend them – if it’s an experience you can afford. 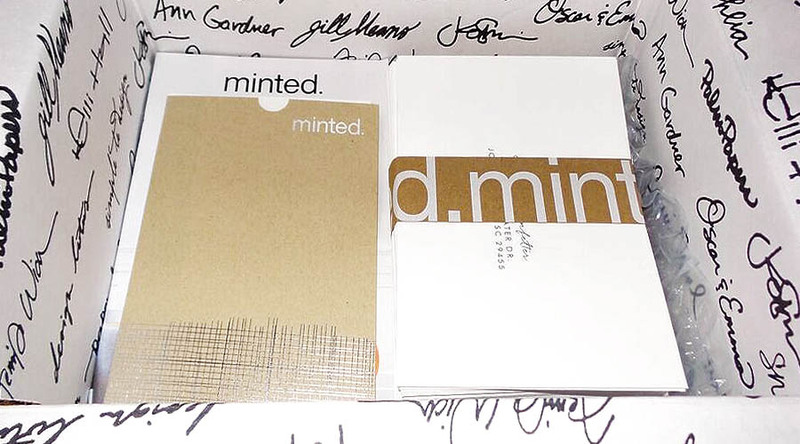 Minted offers top-notch printing and they really treat your cards with love and care. Having said that, they are kind of pricey – even with the most basic options they offer. While the cards were absolutely stunning, if you are wanting something more budget-friendly, they may not be right for you. The biggest pro to printing with Minted (in my mind anyways) is that they will print your to and from addresses on the envelopes for you. There’s even an address book area for you to type it all into and save for next year. But if you can live without the fancy options, aren’t opposed to writing out your envelopes yourself, and you want to get quality prints for less… keep reading. 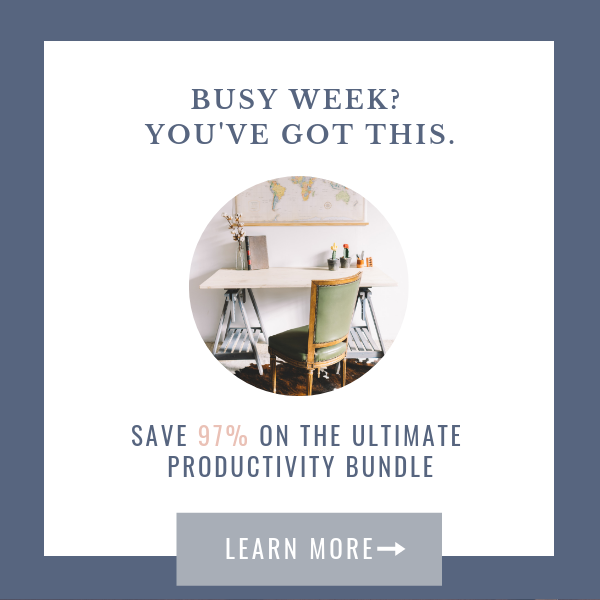 Pro Tip: Sign up for Minted’s newsletter to get 20% off + free shipping. Don’t forget to sign up and use Ebates as well for cash back! 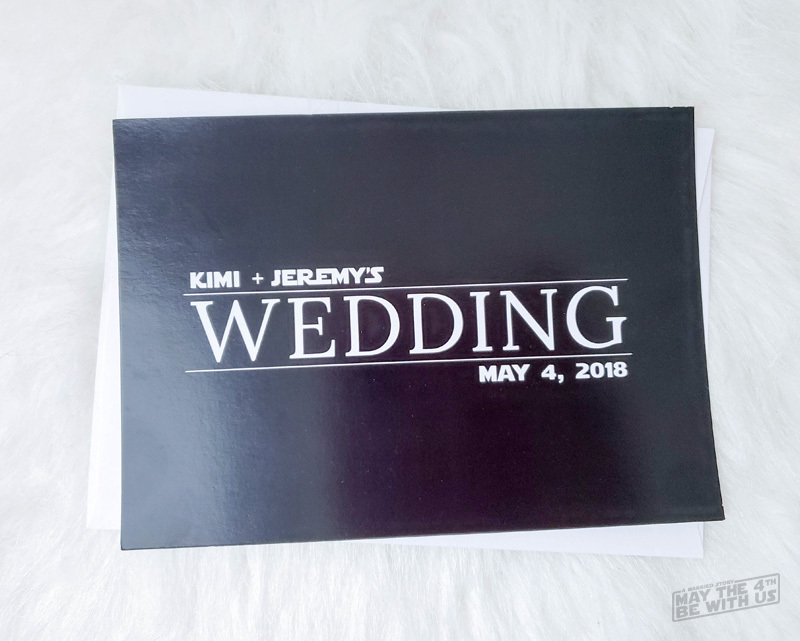 We printed out our wedding Save the Dates at Staples. They have decent prices and the print quality is reasonable considering the prices and excellent turnaround time (seriously, you can often get stuff printed same day). What was lacking in my opinion was the paper quality. They use a sort of semi-gloss stock that shows every fingerprint ever. I’m pretty sure the FBI could have easily dusted these for my prints – it’s that bad. The idea of someone hanging our Christmas card above their fireplace mantle with grubby fingerprints all over it just made me sad. So we passed on Staples for this project. 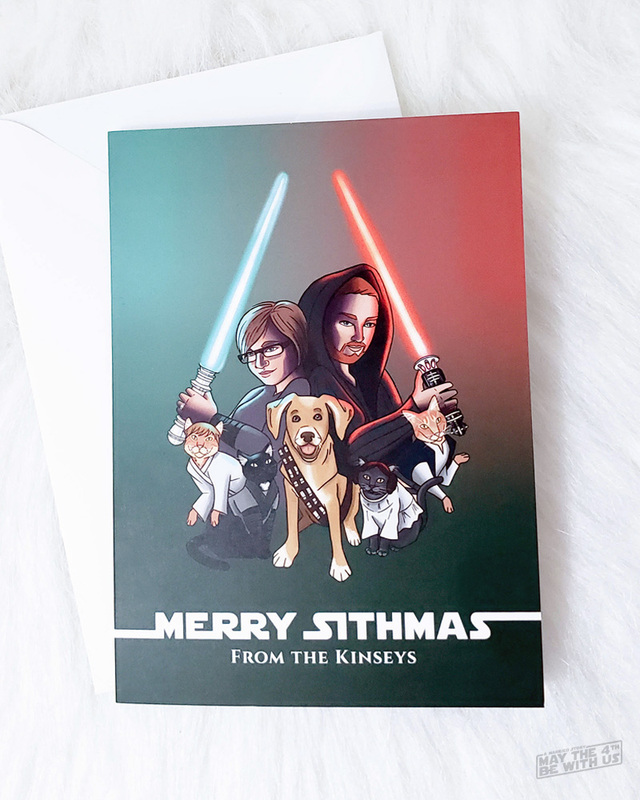 I would recommend Staples if you have children who want to get custom cards printed out to give to their friends – particularly teenagers who do things last minute. They are good quality and you can get them done fast. But for the adultier adult who can plan ahead and cares about paper quality, Staples might not be for you. Pro Tip: Order your prints online and you can use Ebates to earn cash back. Then you can pick it up in store to save money on shipping. 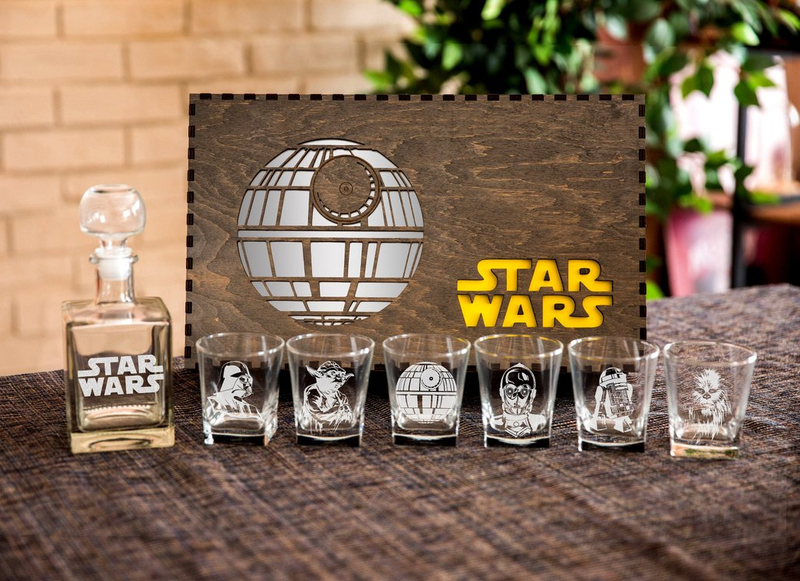 I have some conflicting feelings about this company. Cards & Pockets did such a beautiful job on our custom wedding invitation suite. But if I’m being really honest… their customer service and policies are seriously lacking. We ran into troubles with the return envelopes not matching the font shown online. They printed the outgoing envelopes in a “Regular” font weight, and the return envelopes in “Bold” – although there’s zero indication of this on their website. I didn’t think I needed to request a single print of the envelopes to check them before agreeing to have them printed. Maybe that’s my fault… but I stand by the fact that their website in no way suggests that the envelopes will have different font weights to them. I thought it looked trashy and as a graphic designer, I found the difference jarring. Their envelope printing also leaves something to be desired for the price tag. 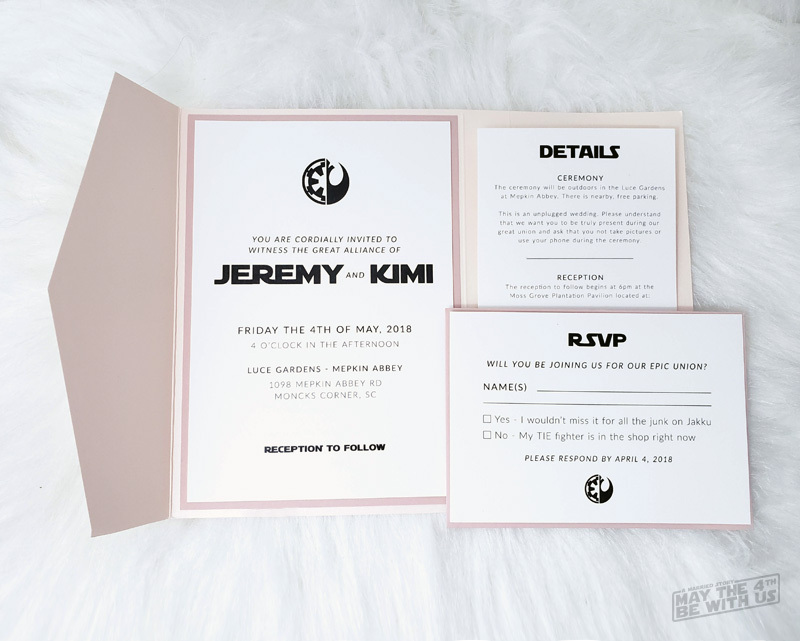 You could easily get your envelopes printed in a wider range of fonts, colors, and clip art somewhere else (actually, Staples might be good for that). 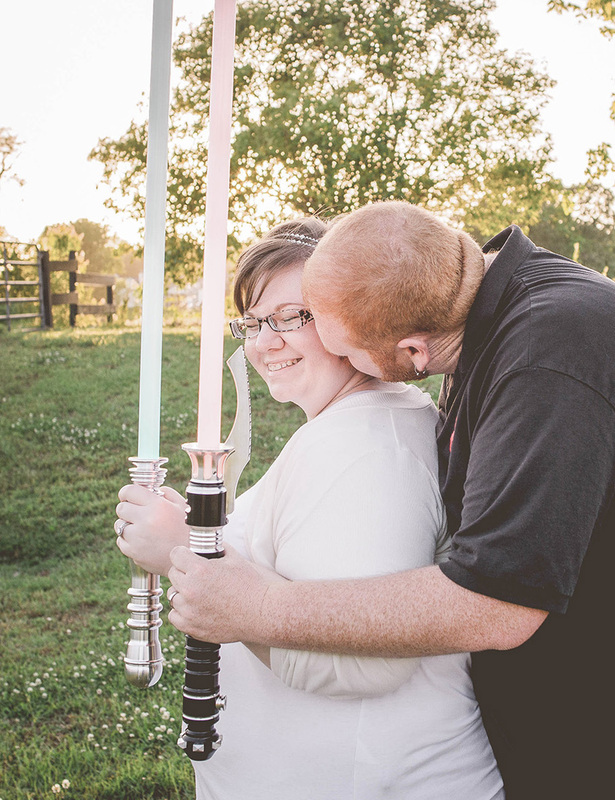 Especially considering we used them for our wedding invitations… I expected better. Unless I need some crazy fancy invitation suite put together, I won’t be using Cards & Pockets again – and certainly not for my Christmas cards, or envelopes. The sell wonderful quality and print on luxe paper, but for a card someone is going to throw away in a few weeks? Pass. We liked the prices of Paper Culture as well as the customer service. The print quality was okay… it was the consistency of the printing that was a problem. Again, maybe I’m just picky because I’m a graphic artist for a living, but the print discrepancies were glaringly obvious to me – things like the addresses being printed off center or even crooked. It was an eye sore. Yes, of course no print is going to be perfect… but we decided to only send out 25 cards that year. I shouldn’t have had more than 5 misprints. Having said that, they were easy to work with and they did re-print our entire order at no charge. They have great customer service and for that reason alone, I considered them a contender for my next Christmas cards. 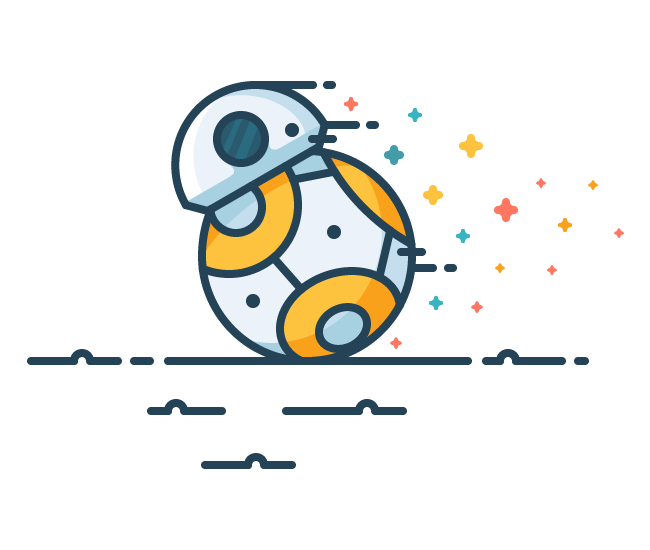 If you’re looking for a good selection of pre-design cards that you can customize, they are a reasonably priced option. In particular, I loved the ability to choose from a selection of adorable envelope printing options. Ultimately, if you aren’t bothered by a few slightly crooked return addresses on your envelopes… they would be a great fit for you. Pro Tip: Sign up for Paper Culture’s newsletter to get 30% off Thank You cards to send to your holiday gift-givers. I’ve used Moo’s printing services before. I had business cards printed by them that look nice and didn’t break the bank. But when I think “Christmas cards”, they definitely aren’t the first company that comes to mind. I associate them with business stuff – marketing collateral like business cards, flyers, etc. When I asked around about an affordable recommendation for personalized Christmas cards, they kept getting recommended. Hmm… like there’s got to be something to this, right? It was such a strange suggestion (in my mind), so I checked out their prices and compared them to what I’ve spent in the past. Were they going to be true to color? I’m a graphic designer with a lot of design for print experience, and it’s my experience that not all printers are created equal. Some of them do some strange color correction, or their printers just… don’t print colors accurately. Would there be a smooth print? I’ll never forget the time I printed out some business cards and used Vista Print. It was the worst print quality I’d ever seen. I was kind of nervous that I’d experience the same with our cards – despite my previous positive experience with Moo. Was the paper of good quality? Think of the cheapest off-the-rack greeting card you’ve ever bought. Yeah, I was worried it would be like that. If I was going to spring for personalized cards, the paper quality needed to be a lot better than that of some boxed cards I could buy at Target (not that I don’t enjoy those too). I threw caution to the wind due to the nice price tag, my positive experience printing business cards with them, and the amount of recommendations I received. Based on Moo’s pricing (and my absolute love of sending Christmas cards), I decided that I was comfortable printing 50 cards this year. Including tax and shipping, we spent $75. I know, I know… you can pick up a box of Christmas cards at Target for less than $10, and I will admit that we’ve done that too (hey, they’ve got some wickedly cute ones!). But in my experience, for 50 personalized Christmas cards… this was a great price (For comparison, we spent $155 at Minted in 2015… for only 35 cards. Ouch). Our cards were completely custom. I didn’t use any of their pre-designed cards (which I found lacking anyways – especially compared to Minted). But if you are comfortable with following their easy design guidelines, it’s worth that bit of effort for such big savings. 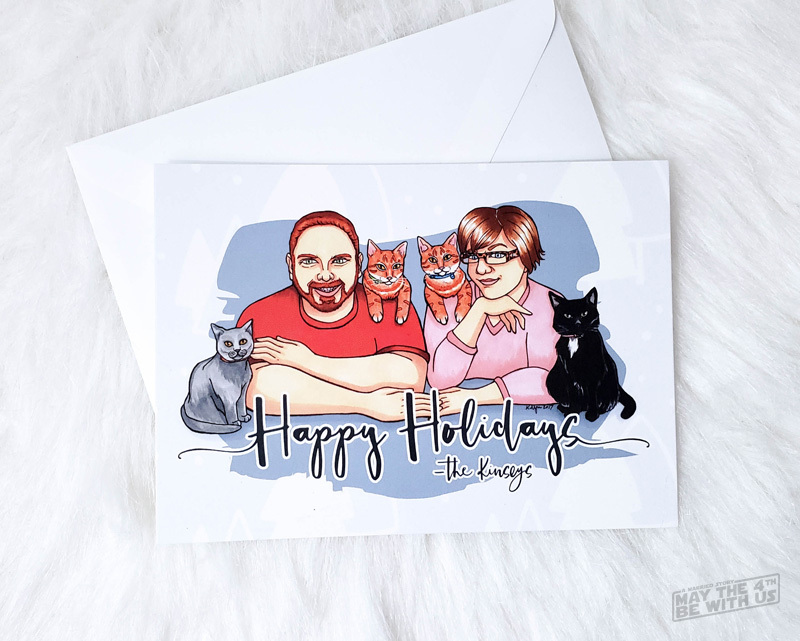 Even a white card with some layered pictures of you with your 10 cats would be awesome (and I would totally want your card). Included were 50 plain, white envelopes. I decided to do the work of self-addressing the envelopes this year to save a bit more money. If that’s a deal-breaker for you, you might consider Paper Culture as your next best option, or do as I mentioned above and get them printed at Staples. 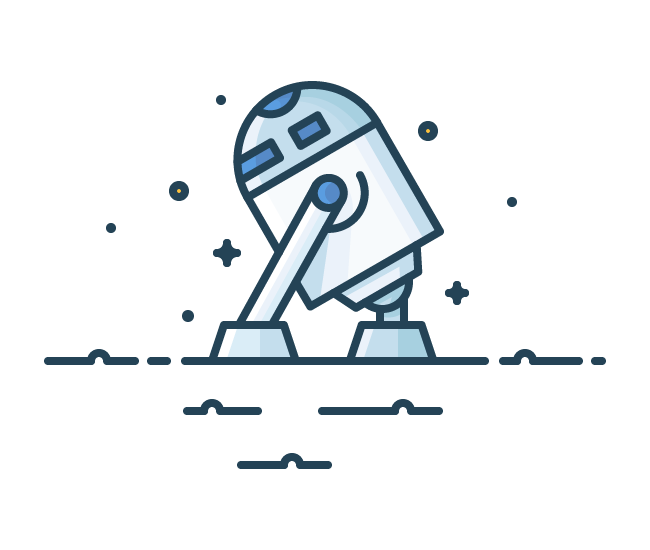 Pro Tip: If you aren’t comfortable designing cards yourself, check out the large selection of holiday card templates on Creative Market. I’m going to preface this with… our Christmas cards got stolen. Seriously… off our doorstep, in broad daylight, while we were home, and within minutes of delivery. By the time I got to see our cards, I admit that I was just happy to see them because I hate wasting money. But more on this in a moment. When I opened up the box, I was pleasantly surprised to see that despite the lower price point, I felt like Moo genuinely cared about my order much in the way that Minted did. Everything was beautifully organized and packaged. But the important question is… what was the overall quality like? Our card is very colorful this year with a lot of darker shades and gradients. I am incredibly impressed by the quality of the print, because I realize that what I threw at them was no easy print. They really did a great job on the color. Again, especially considering the difficult print I threw at them, I think the print quality is on the dot (literally – haha graphic design joke). There’s a lot of gradient in our card design, and the print is flawless. The card stock isn’t flimsy. I would compare it to their standard business card stock. I effortlessly wrote on them with a fine point Sharpie – no bleeds of any kind. The same can be said for the envelopes. They stood up well to Sharpie. 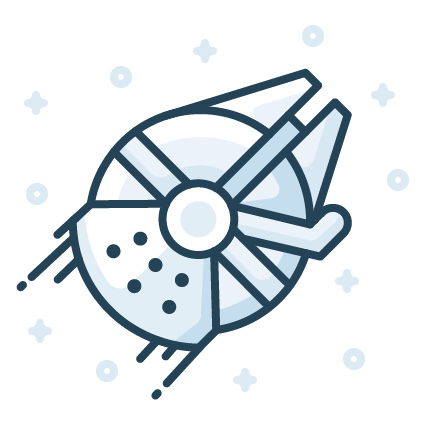 Pro Tip: Sign up for Moo’s newsletter to get free shipping. Don’t forget to sign up and use Ebates as well for cash back! UPS delivered our cards, and our dog Bane barked. I didn’t see the package because they placed it sort of around the corner out of view from the street and my front door window. But Bane saw them and barked. He also barked a second time minutes later and that’s when we assume our cards were stolen. UPS came back out and I truly believe the UPS driver – those cards got delivered. He looked so confused and worried. 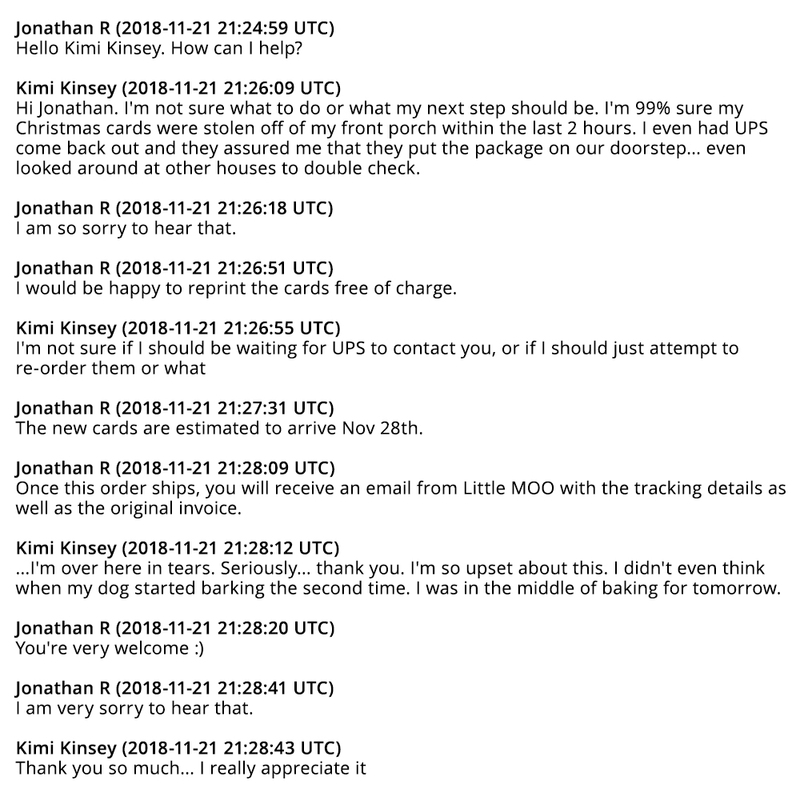 Within a few hours of our cards going missing, I did two things: I wrote a post in our neighborhood’s Facebook group to see if anyone had received them by mistake, and I contacted Moo about the missing cards. You can’t buy that kind of customer service. Okay, maybe you can… if you buy your custom Christmas cards from Moo. Yes, our original set of cards mysteriously appeared. A neighbor who I am 100% certain did not take our cards, found them on her doorstep hours later. We think someone took them, only to realize they were useless Christmas cards, and that they didn’t want to return to the scene of the crime. So they just dropped them off with a neighbor. Who do you use for custom card printing? I’m always looking for new places to try, so leave a comment letting me know of your favorite place for getting your Christmas cards printed! Special thanks to Kay Nyman who has illustrated our Christmas cards for the past 2 years. She always does beautiful work which you can check out if you follow her on Instagram, or watch her draw live via Twitch stream.